Following the 2007 Belgrade environment ministers' conference agreed by the UNECE Committee on Environmental Policy (Oct 2010) and endorsed by the UNECE Executive Committee in Feb 2010 (see Chapter 1, Section 1.1). Part of the development of a sustainable Regular Assessment Process of Europe' s environment following the reform of the UNECE Environment for Europe (EfE) process and coherently with the establishment of the EU/EEA Shared Environmental Information System (SEIS) and ENPI-SEIS project. Expert-based process. A Group of Expert was established by the Ad Hoc Steering Group (AHSG) to undertake the actual work of the AoA with the support of UNEP and the Intergovernmental Oceanographic Commission (IOC) of UNESCO. The Group of Expert included 17 scientists; their work was complemented by other contributing experts as needed. Participatory process overseen by the UNECE Steering Group on Environmental Assessments specifically set up for the EE-AoA and co-chaired by the EEA and the Kazakh government. Within the guidelines and criteria laid down, the countries had the freedom to decide which information to be input to the process and on the critical appraisal of such information. The writing of the sub-regional modules contributing to the EE-AoA was placed with the relevant Regional Environmental Centers. Global, with 21 AoA ' regions' (seas or oceans) outlined. Pan-European, with the following sub-regions (EEA member countries, Central Asia, Caucasus, Eastern Europe, Russian Federation, and Western Balkans). Mono-thematic (marine environment, including socio-economic aspects). Multi-thematic (water resources and water resource management for ' water and related ecosystems' ; green economy and resource efficiency for ' green economy' ) and multiple topics within each theme. One pan-European module and four sub-regional modules (Central Asia, Caucasus, Eastern Europe, and Russian Federation) for each of the themes, for a total of ten modules, two at pan-European level (one for water and one for green economy) and eight at regional level (four for water and four for green economy). The mandate of the AoA was elaborated by the AHSG at its first meeting in 2006. In brief, the mandate encompasses: (i) assembling information about relevant marine assessments; (ii) undertaking a critical appraisal of such assessments; (iii) identifying a framework and options to build the Regular Process. The process was developed along guidelines elaborated by the EEA and under the guidance of the Steering Group defining: (i) the conceptual framework of the EE-AoA, including guiding principles; (ii) the main tools for implementation (glossary, guidelines for assessments' selection and prioritisation, templates for assessments' screening, and reporting formats). Tools were adjusted and enriched during implementation. The AHSG was established to oversee the implementation of the AoA. Coordination was provided by UNEP and IOC-UNESCO. The process was guided by the UNECE Steering Group on Environmental Assessment. The GRAMED (Global and Regional Assessments of the Marine Environment Database), an online fully searchable tool, was developed by UNEP-WCMC as a resource to support the work of the Group of Experts. The EE-AoA knowledge base portal was established. The portal collates information from existing assessments across the pan-European region, allows online direct contribution from individual countries to the process, and provides all necessary tools for implementation, including analytical instruments. Through the several UN agencies involved. Through existing networks (National Focal Points from EEA member and cooperating countries and UNECE/WGEMA Contact Points from Eastern Europe, Caucasus, Russian Federation and Central Asia). Use of terms, individual assessment template, regional summary template. Note: FAO Water Management country profiles, see the individual countries. Available at http://www.fao.org/countryprofiles/index.asp?lang=en&iso3=ALB&paia=4. FAO-Aquastat available at http://www.fao.org/nr/water/aquastat/main/index.stm. UNCSD freshwater profile (freshwater and sanitation) available at http://www.un.org/esa/dsd/dsd_aofw_ni/ni_indecsdthemprof.shtml#water. Water Wiki http://waterwiki.net/index.php/Countries#Europe_and_CIS. GEMS/Water status of participating countries http://www.gemswater.org/global_network/statistical_summary.html. Annex 3.1 Green economy — What does it mean? Energy which is naturally replenished and comes from natural resources such as sunlight, wind, freshwater, tides or geothermal heat. Different parts of the world have a competitive advantage in different renewable energy technologies, depending on geography, climate, etc. In addition, many governments offer subsidies or incentives for renewable energy generation, and there are national/regional renewable energy/greenhouse gas reduction targets that drive investment in this area. 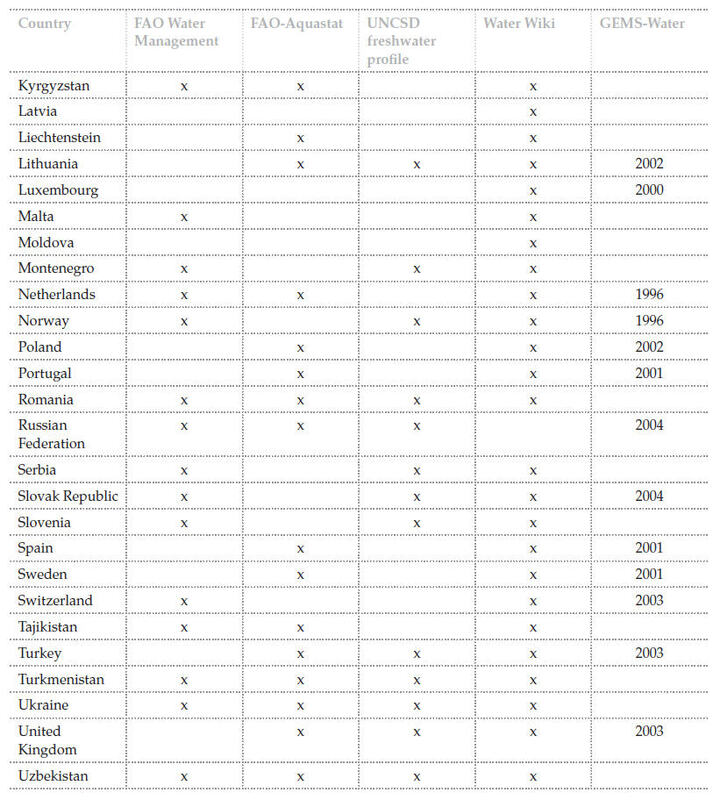 The European Renewable Energy Council reports renewable energy generation and other statistics for EU-27 countries (EREC, 2011). In Germany, electricity from renewable sources is supported through a feed-in tariff and electricity from renewable sources is given priority connection to the grid. The Renewable Energy Sources Act aims to increase the proportion of renewable energy sources in total energy supply to at least 30 per cent by 2020 and to continuously increase this proportion thereafter (BMU, 2010). The Czech government' s most recent national report on electricity and gas industries covers progress in 2009 (The Czech Republic' s National Report on the Electricity and Gas Industries for 2009, 2010). The UK renewable energy strategy sets out how the sector' s role in meeting ambitious greenhouse gas reduction targets (DECC, 2011). Changes in behaviour and technology that lead to reductions in amount of energy required to provide products and services. As with other aspects of resource efficiency, doing ' more with less' reduces environmental impacts, enhances competitiveness and provides opportunities for growth. Initiatives are often driven by carbon reduction targets or concerns over energy security. The European Union has a target to reduce annual energy consumption by 20 per cent by 2020 (EC, 2011). 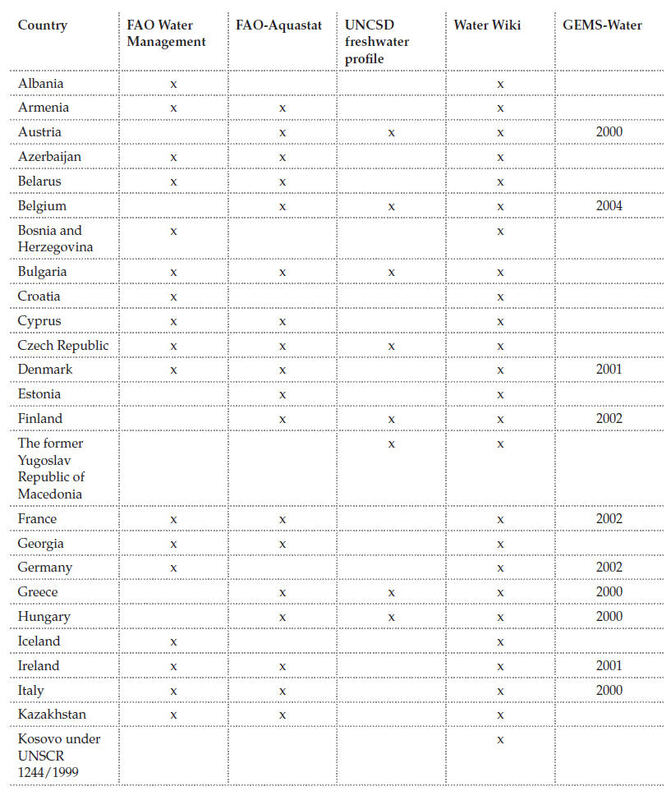 In Georgia, a review of energy efficiency potential and policy options has highlighted a range of drivers, including potential EU membership and positive impacts on economic and social development (USAID, Georgia, 2008). Energy Efficiency in Russia: Untapped Reserve (World Bank/Russia, 2008). Energy efficiency in Poland in years 1998-2008 (Central Statistical Office, Warsaw, 2010). The environmental impacts of transport, including air quality, emissions, noise. Relevance to green economy: Essentially related to the reduction in pollution of different media, which has beneficial impacts on health, welfare and productivity. 51 out of the 56 UNECE member countries are Parties to the 1979 Convention on Long-range Transboundary Air Pollution. 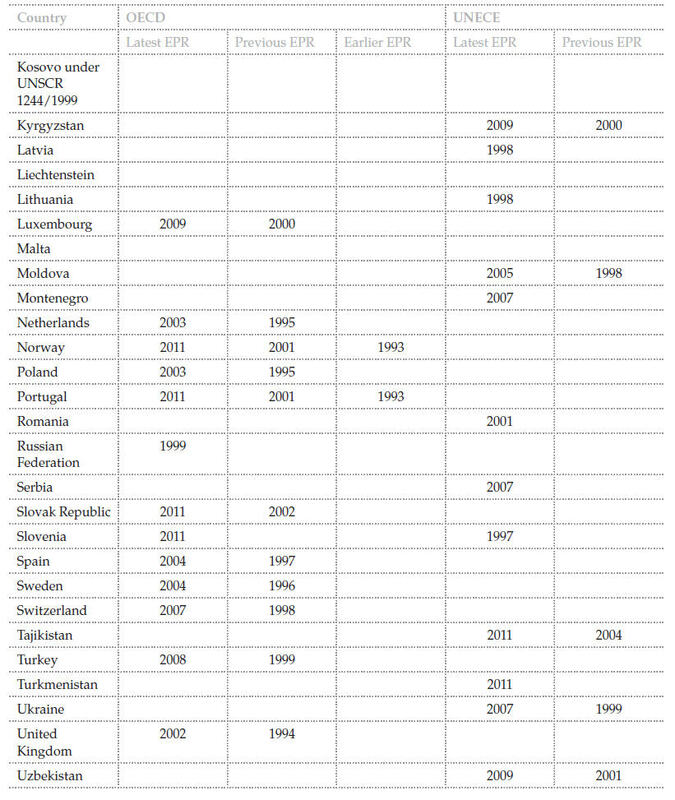 A 2010 Review presents progress to date in implementing the Convention across the UNECE region (CEIPT, 2010). The Netherlands has assessed the Traffic emissions of carbon and organic carbon (PBL, 2009). Annual Report of Air Pollution 2009 (Greece, Ministry of Environment, Energy and Climate Change). Trends in Air Quality in Germany (Umweltbundesamt, For our Environment, 2009). Emissions, waste and resource use from industrial production and processes. Relative reductions in emissions and waste are associated with efficiency improvements, innovation, improved environmental quality and public health benefits. Steady as she goes: Norway' s strategy for environmentally friendly growth in maritime industry (Norwegian Ministry of Trade and Industry, 2007). Study of municipal waste management in Hungary 2010 (KVVM, 2010). Any change that renews or improves a product or process. Environmental or eco-innovation is now widely used as a means of reducing the environmental impacts from economic activity. The OECD has developed a workstream on the links between eco-innovation in industry and green growth, with examples from a number of member countries (OECD, 2011a). Innovation for a Green Economy — Environment and Technology: A win-win story (EPA, Ireland, 2009). Environmental Technologies and Eco-Innovation in the Czech Republic (CENIA, 2009). Environmental or strategic impact assessment. These policymaking tools are widely used to measure the environmental impacts of a decision or policy change. UNEP manual on integrated environmental assessment and reporting (UNEP, 2008). The 1991 Espoo Convention on EIA in a Transboundary Context applies to all UNECE members. It sets out obligations to assess the environmental impact of activities at an early planning stage and to consult each other on projects that have a significant adverse environmental impact across boundaries (UNECE, 2006). Institutional arrangements, multilateral agreements, etc. The structures, institutions and governing bodies that are required to develop, implement and enforce the policies designed to move towards a green economy. The Changing Wealth of Nations (World Bank, 2011). Beyond Rio+20: Governance for a Green Economy (International Institute for Sustainable Development, 2011). Environmental Governance in the Context Of Green Growth In Eastern Europe, Caucasus and Central Asia: Main Policy Conclusions (OECD, 2011b). All voluntary and self-regulating mechanisms in the private sector designed to ensure active compliance with spirit of the law, ethical standards, and international norms. The triple bottom line of people, planet and profit is the axiom most commonly identified with CSR and environmental reporting. It includes actions that encourage a positive impact through activities on the environment, consumers, employees, communities, stakeholders and other. In Greece, the Hellenic network for CSR seeks to promote the concept of CSR and visibility to both the business and the social environment, with a view to achieving balanced and sustainable earnings growth (Hellenic Network for Corporate Social Responsibility, 2011). Reporting environmental information in annual reports: Analysis of legal requirements in the Nordic countries (Norden, 2008). Carbon Disclosure Project, a forum for measuring and disclosing greenhouse gas emissions, water use and climate change strategies (Carbon Disclosure Project, 2011). Vulnerability, opportunities, competitiveness and migration. These are emerging or future issues that will impact, either positively or negatively, on the ability of a country or region to develop a green economy. 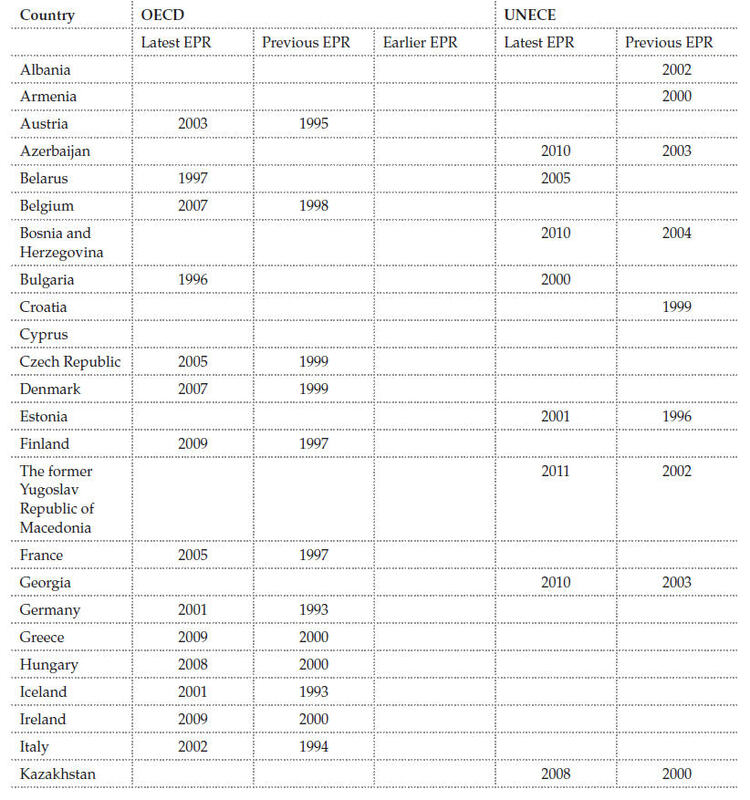 The pan-European environment: glimpses into an uncertain future (EEA, 2007). In Ireland, Future Skills Needs of Enterprise within the Green Economy identifies 6 sub-sectors as having business/employment growth potential, including renewables and green ICT applications (Expert Group on Future Skills Needs, 2010). Baltic 21 Triennial report (Baltic 21, 2009). EEA megatrends 2010 report, analysis of 11 global megatrends, with links to Europe' s priority environmental challenges, and reflections on possible implications for policymaking (EEA, 2010). Extraction of valuable minerals or other geological, non-renewable material from the earth. Virtually any material that cannot be grown or created artificially has to be mined, creating potential negative impacts on the environment. UNDP programme for pioneering a green economy is supporting the transformation of abandoned mines in Balkans as eco-tourism hubs (UNDP, 2011). Mining and environment in the Western Balkans (Environment and Security Initiative, 2011). Forestry, agriculture, urbanisation and other human activities leading to use and degradation of land, soil, water and biodiversity. Natural capital can be used more efficiently (resource efficiency), but it can also be degraded, leading to reduced welfare and environmental legacy issues such as pollution. GLOBE international natural capital initiative (Globe International, 2011). The Economics of Ecosystems and Biodiversity: Mainstreaming the Economics of Nature (2010) (TEEB, 2010). UK National Ecosystem Assessment (UK NEA, 2011). Resource consumption of Germany — indicators and definitions (Umweltbundesamt, 2008). Natural resource consumption of Finnish households (Finland' s environmental administration, 2008). Forests and Climate Change in Eastern Europe and Central Asia (FAO, 2010). Per unit reductions in the amount of water used in industrial, rural and urban areas. Doing ' more with less' reduces environmental impacts, enhances competitiveness, gives opportunities for growth. Initiatives are often driven by carbon reduction targets or concerns over energy security. The efficient use of water in agriculture in Central Asia has been supported by the World Bank. The work recognises that water availability is a major challenge and that agriculture in the region is dependent on irrigation (World Bank, 2009). The efficiency of the water supply in Croatia (Institute for Public Finance, 2008). Food and drink sector Federation House 2020 commitment (FHC2020, 2009). Full account of environmental impacts of producing, supplying, consuming and disposing of a good or service, whether these are within national borders or elsewhere. Broadens the interpretation of resource to bring in consideration of environmental impacts prior to production (beginning with raw material extraction) and following consumption (to disposal). Guidelines for social life cycle assessment of products (UNEP, 2009) (The Dutch sustainable trade initiative seeks to mainstream the social and ecological sustainability of commodity supplies from emerging markets to the Netherlands and Western Europe. It includes analysis of the life cycle impacts of a range of goods, including timber, cocoa and tea (IDH, 2011). Life cycle analysis applied to first generation biofuels consumed in France (Ministry of Agriculture, 2010). Valuation of natural capital and financial instruments such as green taxes, trading schemes, charges and levies. Environmental accounting tools are used to bring non-market (environmental) goods and services into decision-making, providing incentives to producers and consumers. Use of economic instruments in environmental policy (UNEP, 2004). Environmental statistics and accounts in Europe (Eurostat, 2010). The EU Emissions Trading System is a cornerstone of the EU' s policy to combat climate change and its key tool for reducing industrial greenhouse gas emissions cost-effectively. It is the first and biggest international scheme for the trading of greenhouse gas emission allowances, the EU ETS covers some 11 000 power stations and industrial plants in 30 countries (EC, 2010a). Reducing environmental impacts while improving or maintaining economic outputs. Generally takes a broader life cycle approach than other interpretations of resource efficiency. The European Commission has a number of examples of green public procurement, including an energy self-sufficient primary school in Malta and green city administration vehicles in Slovenia (EC, 2010b). Time for action: towards sustainable consumption and production in Europe (EEA, 2008). Sustainable Consumption: Examples from Germany (Umweltbundesamt, 2006). Getting more and better from less — Proposals for Finland' s national programme to promote SCP (Committee on Sustainable Consumption and Production, 2005). The greening of the travel and tourism sector. Green tourism creates opportunities for new jobs, resource efficiency and poverty reduction. Turismo de Portugal Sustainability Report 2009 (MEID, 2009). Note: The two priority areas ' innovation' and ' mining' were added by the EEA. Assessments in this area have been increasing rapidly in number, level of detail and frequency. Goals and targets are often defined. All countries covered but most comprehensive in Northern and Western Europe. Balkans and new EU Member States more patchy. Range from short overview assessments and factsheets to detailed long-term strategies, with consideration of progress, barriers, opportunities, etc. Past consumption based on energy consumption time series data. Future consumption based on international comparisons, technological changes, GDP growth, etc. Breakdown of waste types (e.g. hazardous, non-hazardous) and pollution sources (Assessments on emissions are generally part of energy sector reports, where industry is one of many sectors). Lots of reports from environment agencies, private and third sectors covering water use, stress, abstraction, efficiency, etc. For references, please go to https://www.eea.europa.eu/publications/europes-environment-aoa/annexes.xhtml or scan the QR code.